It's fitting that an album paying homage to Billie Holiday should be out on the Legacy label, for the legacy of the iconic singer remains potent. 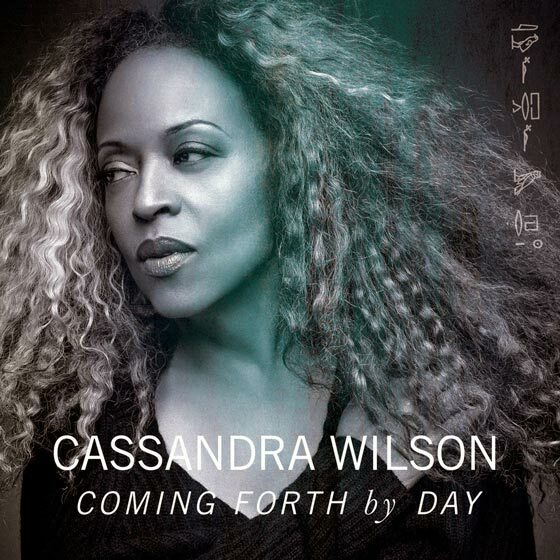 Canadian jazz star Molly Johnson paid fine tribute to Holiday recently with Because Of Billie, and Coming Forth By Day finds adventurous jazz/soul chanteuse Cassandra Wilson putting her distinctive twist on a collection of songs associated with her. Released on what would have been Holiday's 100th birthday, the album brings fresh life to very familiar territory. Wilson made an unconventional but wise decision in choosing her producer, enlisting Nick Launay, of Nick Cave fame. Members of Cave's legendary Bad Seeds appear, as does T Bone Burnett, while Van Dyke Parks contributes typically superb, lush strings arrangements, as on highlight track "You Go To My Head." The real star here, of course, is that gorgeously sensual, subtle and expressive Wilson voice, captured here in full glory. Pair that voice with such well-crafted classics as "The Way You Look Tonight," "Don't Explain," "These Foolish Things" and "All of Me," and it's hard to go wrong. Surprisingly though, there is a misstep here on one of Holiday's signature songs, "Strange Fruit." Arguably the finest song ever to tackle racism, its power is diluted by the arrangement chosen here.